don't get caught: The children's menu: Are you serving the chicken fingers of social media? 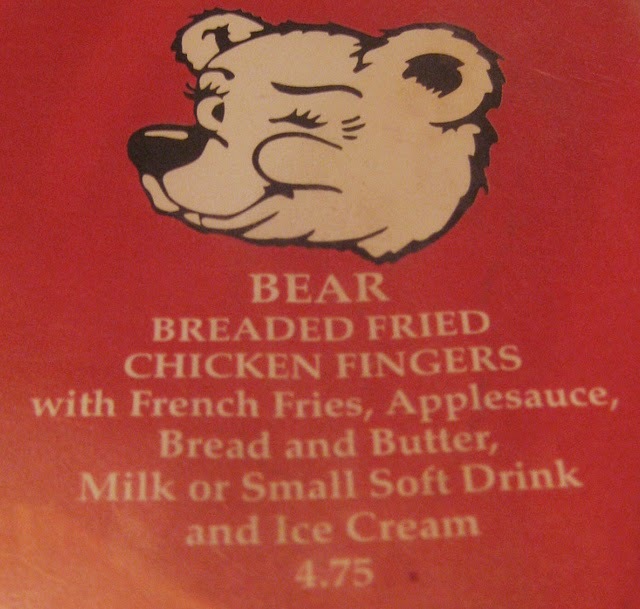 The children's menu: Are you serving the chicken fingers of social media? Living, as I do, in Washington, DC, I get visitors. Many with kids in tow. So the question I most often get doesn't involve monuments, but menus. "We'd love to meet you for dinner," my friends say. "Is there a restaurant where we can get chicken fingers for Sara and buttered noodles or mac and cheese for George--that's really all they will eat." Sometimes, as an afterthought, they'll add, "And a steak and a martini for Mom and Dad. And do you mind eating at 5pm?" We get something like 19 million tourists annually here, so yes, we have restaurants that meet those specifications (try Cafe Deluxe, Old Ebbitt Grill or Clyde's). I've stopped suggesting anything seemingly exotic, as long as the entire table doesn't need to eat the fingers of chicken, in deference to my guests. But we're missing some fabulous Lebanese and Analucian and Indian and French food. Just sayin'. Looks as if that chicken-fingers approach is still afoot in companies and organizations just getting their toes wet in social media, as this post notes about Morgan Stanley's robotic tweets from brokers. "Planning a beach vacation?" or "Looking for some new golf clubs?" aren't questions you'd ask strangers in a bar, not if you actually wanted to connect with them. And I'm not sure I'd be talking about them with a new broker. They are, however, safe posts. Safe from controversy, safe from potential damage to the company image, and certainly in no danger of engaging anyone. Just to be sure of all that, they're also pre-approved by management. ...chicken fingers are just a symptom. If we want to insulate ourselves from new experiences, ensure that we never eat something we don't like, never engage with someone we disagree with, never have to hold two opposing ideas in our head at the same time—chicken fingers are a great way to start. His fix? Try new things, purposefully. In the world of social media, that might look like a pilot project--two of the most magical and little-used words in your arsenal of tricks--of three to six months' duration, something long enough to try a new tactic, measure the baseline at the beginning and your results throughout. It's careful without being comatose, reasonable without the robotics. Call it learning to swim without hanging on to the side of the pool, which really messes up your stroke, let alone your ability to get anywhere. What's on your social media menu? Email me at eloquentwoman AT gmail DOT com to work on your strategy.